Forum starts at 18:00. Please skip first 18 minutes of video. Pennsylvania Governor Jon Corbett was invited to join the forum but did not respond to the invitation. The forum was a non-partisan event, not a debate. The moderator was Rev. Mark Tyler of Mother Bethel AME Church — a founding member of POWER, one of the sponsoring organizations. I did not attend in person but watched the webcast of the event. These are my rough notes from the forum. They not intended as a transcript. As always, I apologize in advance for any errors or misconceptions. Interested readers are encouraged to click on the candidates’ names above and visit their websites for further information on the candidates’ views and policies. A few personal observations are given at the end. Each segment of the forum began with testimony from an audience member which was then framed with questions posed by the moderator Rev. Tyler. (See video.) The questions and candidate responses are outlined below. abolish the School Reform Commission. Will you support these items and what will your agenda be? Schwartz: Pleased to be here, not pleased that Corbett is absent. Not a surprise; he has been absent on our values. Pennsylvania has great resources yet Corbett has led us to 49th place in job creation. We cannot be a great state without leadership, vision, and a commitment to the state. I have high goals, high expectations, and have always found a way to move forward. We have to start with public education. My mother was an immigrant. She arrived here alone at age 16, and was sent to Philadelphia because the city had great public schools. She graduated from Girls High and went to Temple but could not afford to finish. My sons went to Central High School, a public school in Philadelphia. As governor I would make public education a priority. I would support your agenda, abolish the School Reform Commission, rein in charters, fair funding, pre-school and full-day kindergarten. Invest in public education; invest in the future. Wolf: I am from York County. How can we allow this (references tweet from parent about no school librarian) to happen. Tom Corbett has taken education off the front burner, off the stove. I love learning, and have a PhD from MIT. Daughters got a great education in York County. We are all in this together. Public education is a shared enterprise. As governor if we are going to have a bright future we must have great schools. We need fair and equitable funding, tax shale, universal Pre-K, charter accountability, good education equals good jobs, connect higher education with worlds of work. As an employer I understand we must have an educated workforce. McCord: The most important thing for me to highlight is education, not just as policy but it is personal. Think of a single parent who has a job but a bad job, mistreated by her employer but wants a good future for her kids — that is my mom’s story. She went through a bad divorce when I was four. I went from being a slow reader to a scholarship at Harvard. Some have a poverty of purpose. This is the #1 reason I am running. Tom Corbett took $1 billion from the schools. We need to review the funding system, fully fund higher education, repair the 529 plan, fund community colleges, allow unions to provide associates degrees, fully fund early childhood education. Yield for decades. Hanger: Nothing wrong with public education but the governor is trying to privatize it. I will stop this cold. I arrived in the US at age 12 from Ireland. Public schools prepared me. We must attack poverty to prepare people for education. As a law graduate I worked with low income families. Start with charters, not preparing poor kids, stealing money from public education. We need to shut down poorly performing charters, including almost all cyber charters. It is an attack on unions to attack public schools. I will abolish the School Reform Commission. We need fair funding. The real problem is the governor trying to privatize public schools. McGinty: One morning in September I was having coffee, reading the paper and saw the beautiful face of 12 year old LaPortia. She died from asthma attack on a day when the school nurse wasn’t there. She was the same age as one of my kids. This is not the best for our kids. Problem to solve. Our kids deserve better. Put the spotlight on what is working. Pennsylvania is 4th in reading, 8th in math. Taking a wrecking ball to public education is not right. Put a tax in place to restore money to public education, fair formula, English language learning, property tax, reform charters so no double dipping. Start early Head Start, pre-day, full day kindergarten, small classes. Let teachers teach and students learn. Question: Pennsylvania has the fourth oldest population in the US. There are fewer employer retirement plans. retirement benefits available to all workers. California is offering plans all works can join. [blogger’s note, this is the Secure Choice Retirement Savings Program] Working Families plan. McGinty: Yes I will support this. I am the 9th of 10 kids, dad was a Philadelphia police officer for 35 years. He died last year at 94, and never asked any of us for a penny. He had a pension. No one gave him anything; he earned that pension. We must insist on these kinds of benefits, make retirement affordable, make health care affordable, can’t have property taxes go through the roof. The Commonwealth is not paying for public education, leaving it to be supported by property taxes. Hanger: Anyone who has a pension has a legal guarantee that it will be paid. I will not let pension funds be raided. Many in the private sector are not organized or part of a union, and have no pension or retirement. As a legal services attorney I saw retired people living on social security. We need better jobs with higher income while working. Jobs don’t pay for bills today let alone retirement. Rich are getting a bigger piece; you are getting a smaller piece. Raise minimum wage, stand with unions, help people join unions, so we don’t have to choose between heat, food and medicine. Schwartz: We need a Pennsylvania committed to hard work and achievement, that’s what built the great state we are. I hope to live to retire and reflect on a fulfilling job. Retirement is under threat. Pennsylvania does have one of the largest senior populations. Social security and Medicare are under threat. In DC I have led the fight against privatizing social security. Imagine if we invested in Wall Street in the recession. We have work to do and I will keep working towards that. Need to meet our obligations to retirees. Wolf: I’m an FDR Democrat. We do not have a pension problem. This is something we share. In my company I work to make sure employees [missed this]. Lottery is part of the Department of Revenue, $1 million goes to help the elderly. I worked to improve the lottery. It went to property tax rebates, prescription drugs. We need to protect public pensions. Overall compensation issue. If we want good public employees we must compete with the private sector. Health care. I have a 90 year old mom and 91 year old dad. We need to ensure all is done to see that all Pennsylvanians have retirement. McCord: Everything in the governor’s race relates to jobs. If we end defined benefits we lose as 90% of that money is spent in Pennsylvania. Of course we need to increase the minimum wage, increases the wealth of the middle class, need sick days, that an efficient thing to do, protect prevailing wage. We can trust safety and quality of well-trained Pennsylvania workers paid prevailing wage. End payday loans. Everything is about true economic security. Reasonable wage. Good benefits. Protected workplace. 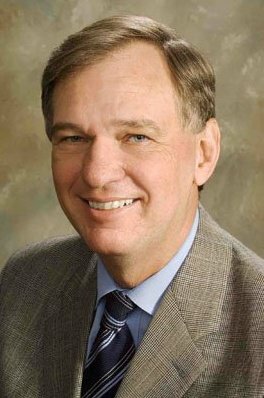 Schwartz: If we want to build a prosperous economy in Pennsylvania, steel, railroads, hard work and innovations, new cures the envy of the world. Unions spread wages to workers, building industry, prosperity, innovation. Rebuild Pennsylvania economy, rebuild and re-grow middle class, cannot succeed without a middle class. Increase minimum wage, fair pay for women, prevailing wages, sick leave, use carrot and stick. If public money is given to corporations we must push them to pay fair wages and benefits. Use all natural resource to benefit all, use money for education, grow economic opportunities across the state. McGinty: Jobs. I’m here to apply for a job. As Secretary of Environmental Protection I wanted to create new good jobs. We need clean energy and environment. Let’s bring these jobs. We were #1 in bringing solar and wind jobs, good jobs, pay, benefits. Choosing between the environment and jobs is a false choice, as is saying wanting a good job risks your current job. To grow the economy we have to put money in people’s pockets. Living wage. Increase minimum wage, index it to inflation. Right to organize. Invest in the US. Job training and skills development programs. These were cut and we need to restore them. Families need to be able to afford education. Colleges need to keep costs under control. Public projects – jobs going to Pennsylvanians. Wolf: I’ve created good jobs. Only PhD forklift operator in York County. Bought my company, build it into one of the biggest in its field in the country. Distributed 20 – 30% annually in profits to employees. Sick days, living wages. First thing we have to do is invest in education. We need an educated workforce. Recognize we can compete, even in manufacturing. We can compete on price and quality. Hanger: More jobs and better jobs need community organization. If we want paid sick days we need to mobilize. It begins with education, 20,000 educators lost their jobs. Expand Medicaid. We could have four billion going to our hospitals, good paying jobs. Green energy. Create solar and wind jobs. I know how to create these jobs. People have trouble getting a job because of unfair convictions. We are arresting too many people for having a joint in their pocket. We should legalize marijuana. Stop arresting African American men at five times the rate we arrest whites. That’s how we get schools to jails. Wolf: This has become about politics and it shouldn’t be. The governor is trying to destroy the president’s health care plan. We absolutely need to expand Medicaid. It is bad for the economy not to have universal health care. 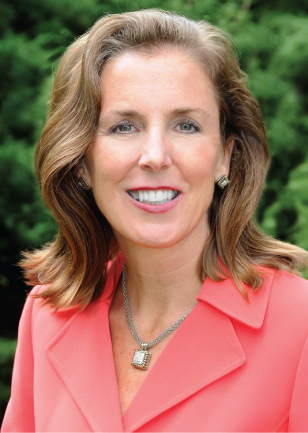 McGinty: Some issues are hard but when the federal government offers you $4 billion to give citizens health care the only answer is yes. Increase availability and affordability yes. All issues on human dignity. Schwartz: Hard to talk about health care in 2 minutes. Personal to all of us. The governor turned down opportunities, not federal money but our money. Unacceptable. Take the money and use it to benefit Pennsylvania. We have great hospitals, medical schools and nurses. If you doubt I can do this remember my work on CHIP which became a national mode. Let’s get it done. Hanger: Wrong for people in our state not to have health care. It is a human right. Yes to Medicaid expansion but not enough. We need single payer health care. My wife is a physician, trained in Philadelphia, and opened a community practice. We need to include mental health treatment and addiction treatment. My son committed suicide at age 23 from depression. McCord: Human rights, social justice, human dignity, also about efficiency. Ridiculous not to take Medicaid expansion. Your movement is fighting a company town program. [missed something here]. Use new technology, associates degrees, cut costs, seniors able to stay in their homes. Repair middle class. Personal observations: The candidates were very gracious. In my opinion far too much time was taken up with announcements from the sponsoring organizations and individual comments [“testimonies”] from the audience. There were a few hecklers in the crowd and at one point two people got onstage with a banner offering their views on a political issue. The forum stopped for a few minutes while they were escorted off stage. Of the candidates Rob McCord was the only one to step away from the podium. Each time he got up to answer the questions he would take the microphone and stand next to it instead of behind it. He is clearly an experienced and enthusiastic speaker.